By plane: There are flights to George from Johannesburg, Cape Town and Durban. By road: From George: the drive to Wilderness is scenic and takes approximately 25 minutes. 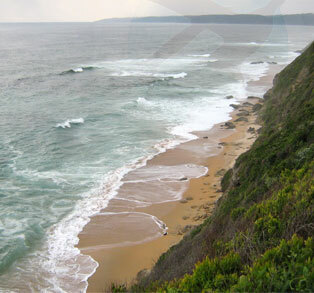 If you are driving down the Garden Route from either Cape Town or Port Elizabeth, Wilderness lies conveniently between the 2 cities and provides a convenient and relaxing stop-over, rather stay over a few days and unwind before continuing on your journey. 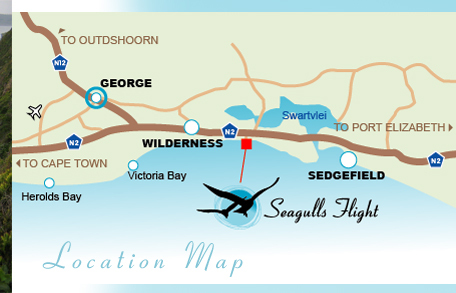 On N2 between George and Knysna: Turnoff to Seagull’s Flight is on the sea side of the national road. The turnoff is situated opposite Island Lake and is labeled “8th Avenue” . 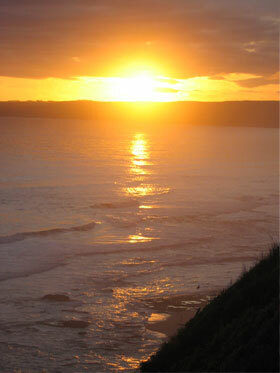 Turn in towards the sea. At the T-junction turn right. Continue approximately 400m down 8th Avenue, Seagull’s Flight is on the left (sea side). Address: 921 8th Avenue, Wilderness East.